Do you think before you speak? Do you need reminders to complete tasks? Are you emotionally affected by little things, so that you are distracted from the tasks at hand? Are you a procrastinator? Can you focus on your work? Do you prioritize your assignments? Are you organized? Do you easily adjust to changes in plans? 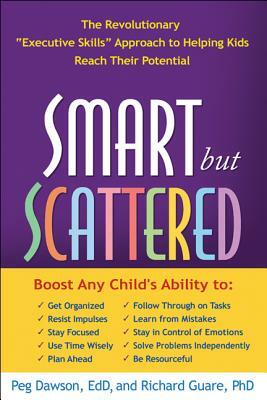 All of the above questions come from an Executive Skills Questionnaire that teachers completed yesterday at the workshop by Peg Dawson, a New Hampshire psychologist, and author of various books, one of which is called "Smart But Scattered". Peg Dawson is an excellent speaker who challenged us to be aware of the weakest executive skills, and utilize strategies for managing executive skill weaknesses. Executive skills refer to the brain-based, cognitive processes that help us to regulate our behaviour, make decisions, and set and achieve goals. Whether we are 14 years old or 64, we can work at strengthening our weakest executive skills, skills we utilize our entire lives, and not just at the elementary school setting. By being informed, intentional, and utilizing various strategies, teachers can teach and motivate students to use the skills so that they become habits.